Created specifically for a friend who reached out, happy eyes was formulated by me and tested by me! An eye serum roller formulated with castor, sweet almond and therapeutic essential oils to help decrease puffiness, target fine lines, and moisturize the delicate skin around the eye. Each ingredient is anti-inflammatory, high in vitamins and fatty acids. The cool metal of the roller ball also helps decrease puffiness. Make your eyes happy! 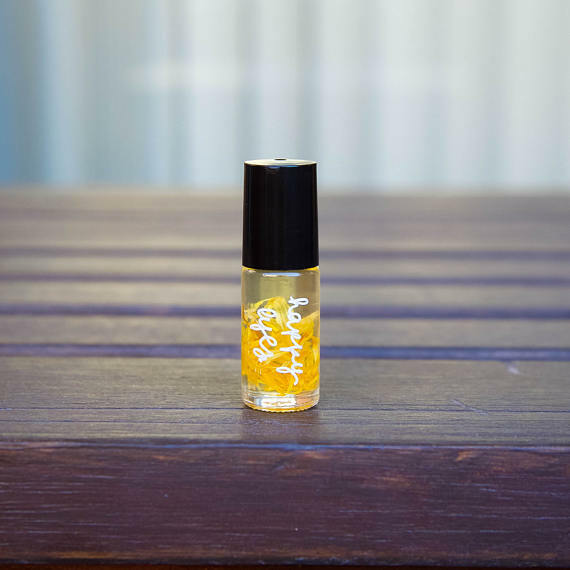 5ml roller ball bottle. Apply AM/PM to under eye area and in crows feet region being careful to not get product into the eye. Caution: As with all new skincare products, perform a patch test first.